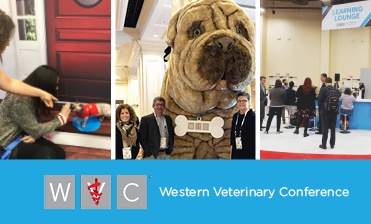 When the Pathfinders, our team of marketing professionals at R+K who help clients achieve their brand visions, attend industry conferences and trade shows, such as the recent Western Veterinary Conference (WVC), we approach the show through multiple lenses. These lenses deepen our understanding of the market and the mindsets of our clients’ customers. Following are some of the lenses we used at WVC. Journalist. Through the journalist lens, we ask questions and are curious about everything. We try to see what’s new, who’s new in the industry and what are the trending topics in the sessions and aisle-way conversations. Customer. We use the customer lens because, at R+K, we hold to the mantra Think Customer First. When using this lens, we try to see, hear and experience the conference as if we are the customer. In the case of WVC, we wore our veterinarian, vet tech and practice manager lenses. Admittedly, mine were a little foggy, as I had missed the last two years. But in the course of the day, my veterinary lenses cleared up. And I was eagerly learning about prescription fulfillment services from Vet Source, the role of hydrolyzed soy in a Royal Canin formulation, and the diagnosis and treatment options for chronic pain and itch in cats. Ethnographer. The ethnographer in us comes to the conference, too. We observe how the attendees and exhibitors interact at the trade show. We listen and watch practice managers engage during sessions on improving staff communications and enhancing their website through customer empathy. This is most often the lens that our Brand Strategist wears at shows and conferences. She pays attention to how exhibitors engage with veterinarians, noting their body language and facial reactions, as well as how they move through each booth and the duration of the visit. It gives her a sense of how veterinary customers respond to various stimuli – both messaging and human. The ethnography lens is another dimension of our Think Customer First mantra, to ensure that we have a broad and deep understanding of the customers of our clients. and prospective clients. Prospector. Speaking of prospective clients, the R+K business development lens is ever-present. Shows and conferences are an ideal opportunity to reconnect with former clients, prospects and friends and to make new ones along the way. It’s a challenge at times to curb our enthusiasm when in a conversation. We could go on asking questions to learn about their brands, business and show experience. Yet, we always want to be respectful of the fact that exhibitors are there to connect with their customers and prospects, not with agency folks. So, we are quick to excuse ourselves when others approach with questions. Marketer. As marketers, we cannot sit through a presentation without art directing slides or admiring a presentation style. We cannot walk through a trade show without noting trends in booth designs and activities. And we take lots of pictures on our smartphones for show and tell of our observations back at the office. One of the stand-outs for me this year was what I would call the speed-detailing I experienced in the Royal Canin booth. Like most booths, there were several stations where veterinarians and technical staff were analyzing products and the science behind them. The cool thing of the experience: Speed detailing, where each of these mini presentations were no more than two minutes, if even that. They were on-point and informative, yet inviting. This is a technique I plan to share with our clients. As for our clients and prospects, when we attend conferences and trade shows, our minds and bodies are in a constant conflict of energy and exhaustion. This year, as we experienced WVC through the multiple lenses of journalist, ethnographer, customer, prospector and marketer, we also went home with aching feet, shin splints and a need for deep slumber. However, we left the show almost too excited to rest, as we are even more excited about where the veterinary and pet industry is headed and how our team of Pathfinders can help brands Think Customer First. Rhea + Kaiser President/CEO Diane Martin welcomes the opportunity to talk about branding, website development or breaking through the clutter at trade shows. Customer Personas are a way for marketers to segment and prioritize an audience according to behaviors and mindsets. We use them to educate and guide communications strategies and to focus messaging and media touchpoints that will engage and support target segments, such as rural lifestylers, through their customer journeys. As a rural lifestyler whose lifestyle recently changed address, this prompted me to ponder my own Persona. For the past 27 years, my husband and I lived on old farmsteads in the country. Just recently, we sold our 133-year-old home on three acres in a rural community of 1,300 people. 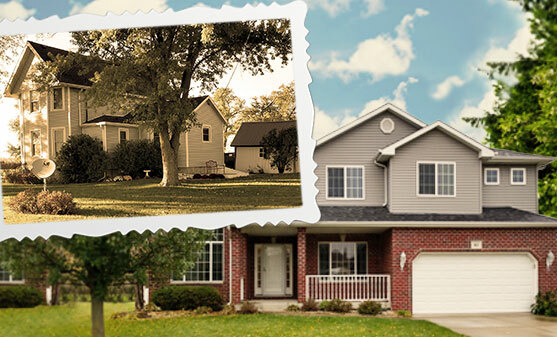 We moved seven miles west into a charming house in a rural subdivision on the far edge of a town, population 9,000. The decision to move was easy – even as we prepared to say goodbye to a home and property that we loved and restored over the years. It was time to do something with our weekends besides maintain the lawn, gardens, fruit trees and farm buildings. It was also time to have a little more living space and walk-in closets. The move, on the other hand, was a bit more complicated. What would we do with the tools and equipment we’d accumulated over the past 27 years? Has our identity changed? Are we still rural lifestylers or are we now townies? Which rural lifestyle Persona will we be? As we sorted, pitched and packed, it dawned on me that, while our address is no longer officially rural, we’re still rural lifestylers. We’re just shifting in our rural lifestyle Persona, again which began as Born in the Country nearly 27 years ago. My husband and I are both farm kids, and we’ve both worked in or with agriculture throughout our lives. 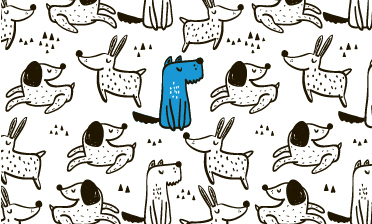 Somewhere along the line – perhaps as my career in advertising took me into new categories like turf and ornamental, pet care and healthcare – we became Split Personalities. We were (and still are) connected to the land and spent a great amount of time tending to it. But we are also comfortable with adventures in the city – whether Chicago, New York or Indianapolis. As Split Personalities, we collected toys. A Kubota tractor and UTV, generators, Husqvarna chain saw, self-propelled mower and roto-tiller, gardening tools, guns, fishing boats and gear, power tools, free standing tool chests filled with a myriad of hand tools. But with a smaller piece of property in town, it’s likely we won’t use these too frequently, if at all. With only a quarter of an acre to maintain, we will have more time to garden, bike, hike and fish. We can also disappear into the city for the weekend or discover new lakes for exploring, without worrying about the work ahead of us when we get home. Though we’re still primarily Split Personalities, we’re becoming Outdoor Enthusiasts, minus the everyday and dress camo. A Persona is not forever, but the value of marketing Personas is. As we’ve evolved throughout the rural lifestyler spectrum, it made me reconsider how we as marketers use Personas. We use them to bucket current and prospective customers by their behaviors and mindsets, and then craft personalized messages to appeal to each of those Personas who best align with our brands. The caveat is that as humans change, so do their Personas. And marketing has to evolve with them. 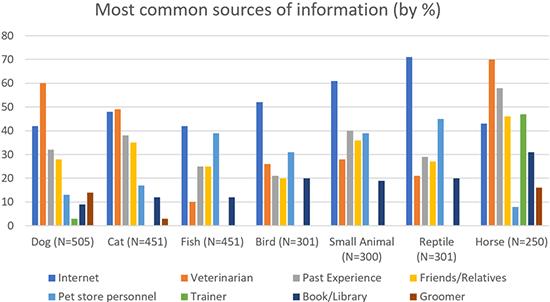 A variety of factors influence the changing personal profile. Among them are: emerging technologies that influence how we live, learn, play and alter behaviors and attitudes; environmental issues that affect our lifestyles, our awareness of products and how we use them; and the impact of the economy on our total well-being. And coming back to the original point of this post, will a customer be the same Persona she is next year as she is now or was last year? My personal transformation suggests not. Of course, there are hazards of relying on a focus group of one. Yet, from friends to business acquaintances, there is a community of us who have shifted in their rural lifestyle or farmer Persona. And common sense tells us that our circumstances and experiences continue to shape and define who we are. The evolution of Personas, and potential shifting from one Persona to another, means that we as marketers need to remain vigilant in how we define our Personas. More important, we need to ensure we have a steady flow of customer data to not only inform and validate Personas, but also that the insights we use to engage customers on an individual level are up-to-date. Personas are valuable sales and marketing tools whether we’re targeting rural lifestylers, farmers and ranchers or construction contractors. We welcome the opportunity to discuss how we build, maintain and use Personas to help our clients move their brands forward. As President/CEO of Rhea + Kaiser, Diane Martin will always believe in the power of the Persona. And she will always be a rural lifestyler. Whether as a Born in the Country, Split Personality, Outdoor Enthusiast or some other Persona will always be prone to evolution. To learn more about how we create and use Personas, please contact Gino Tomaro, Business Development Director. What Do Pet Parents Want? Whether pets fill an empty nest or are the “first child” in a starter home, pets are part of the family that we just can’t help but spoil. And technology is becoming a preferred means for pampering. In a recent survey with 2,000 adults, the Consumer Technology Association determined there are approximately 84.6 million pet-owning households in the U.S., the majority of which are those of Millennials and Baby Boomers. These pet owners consider their pets as their children, as they take their pets with them everywhere they go. In the process of humanizing them, they walk them in baby strollers, comfort them with television, send them to spas and throw them lavish birthday parties. These fur babies and four-legged children with a tail are no longer confined to the home when they happily tag along to mom or dad’s work, are dressed in matching holiday costumes and have custom-built furniture, not to mention that nearly half of their “parents” have purchased interactive toys for them. As technology grows in importance in caring for pets, marketers need to better understand who is buying it and why. It’s not really a contest of who loves their pet more, but perhaps who can afford to spend the most on their pet. Pawsible Marketing’s Top Pet Industry Trends for 2018 explored how different generations invest in their pets, with specific attention to the Millennial and Baby Boomer markets. In the Millennial market, which accounts for 35 percent of the pet-owning population, these pet parents are social media darlings and online shoppers, and their need for instant gratification increases their willingness to spend. The caveat is they have limited financial resources and minimal brand loyalty. However, their lifetime of technological savviness gives them an edge in understanding and embracing the next generation of pet products, many of which come from and rely on technology. This makes Millennials the target pet tech consumer, particularly as the market moves forward. In many ways, Baby Boomers are traditionalists when it comes to pet rearing. This generation, which is currently the “primary pet product and service purchaser,” represents 32 percent of the pet-owning population. They prefer to sample the goods and do business face-to-face. Currently the wealthiest generation, their pet is likely a grandpuppy or grandkitten, and they have the financial power to devote to them. That said, Baby Boomers are slower to embrace technology and see less of a need for it. Whether it’s Baby Boomers, GenZ or every generation in between, these populations genuinely love their pets. As we enter 2019, the top pet trends reflect just how much we adore our pets and treat them like members of the family. Through modern veterinary medicine, pets are living longer, healthier lives. Therefore, consumers are purchasing products, tools and services to monitor and deliver a better quality of life to their pets. 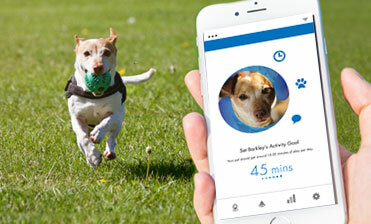 This includes geriatric and hospice pet care; home food delivery programs; treats and supplements; preventative medications for diabetes, cancer and joint problems; and both wearable and non-wearable pet technology, more commonly known as “pet tech.” This also includes the ability for consumers to participate in the veterinary and self-care of pets through apps and wearable technology. Are we mirroring ourselves in our pets? With apps, microchips, activity trackers, monitoring cameras and electric fences, we have constructed a digital environment for our pets much like we have created for ourselves. We are concerned about our health, safety and well-being, and we are willing to invest in technology that can calculate, digitize and monitor some, if not all of that for us. If we can do it for ourselves, why not do it for our pets? Here lies the roadblock. Pet consumer research indicates that safety and security are the top problems that pet owners hope technology will solve. The APPA 2017-18 National Pet Owners Survey estimates that 43 percent of dog owners and 27 percent of cat owners already use electronic tracking devices on their pet. However, movement and fitness trackers, pet GPS, and training, calming and electric fence collars are just a sample of other more advanced wearable technologies that are available but come at a higher cost. The greatest barriers of adoption to pet tech are expense, followed by perceived lack of need and ease of use. 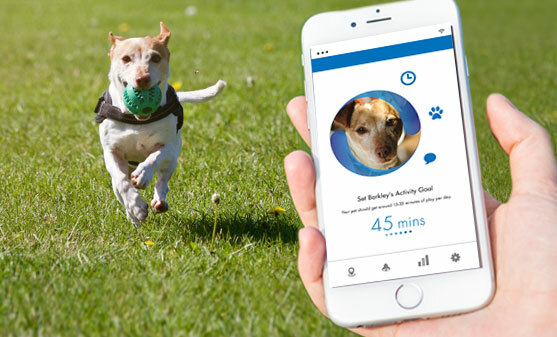 Marketers must first ascertain the importance of a pet’s safety, security and well-being, and then follow up with recognizing the necessity and accessibility of wearable pet tech. In the pet tech space, these are the key points and the most straightforward ways to approach consumers to this market. The long-term investment in a pet’s life is worth a short-term investment in cost to protect a pet and keep him or her safe, secure, and healthy. I recently stumbled upon a startling statistic. According to the CEB webinar, Rethinking Customer Understanding, the typical B2B purchase decision involves an average of 6.8 people. Let’s just round that up to seven and say, holy cow! In the age of customer lifecycle marketing, that’s a lot of folks to attract, educate, convert and retain. Especially in categories like heavy equipment where the needs of audience segments vary greatly. 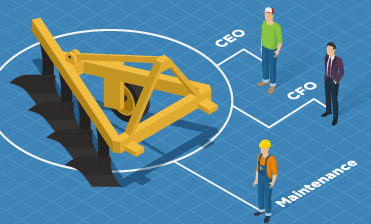 Consider the potential players in the purchase of a front loader for a construction company. From the corporate office to the field to the repair shop, you’re sure to find different brand loyalties and purchase motivations. How do you know what buttons to push and with whom, to start the conversation, let alone to make the sale? More importantly, how do you know who’s ultimately making the decision versus who’s just weighing in? You can find the answers through the creation of Personas. 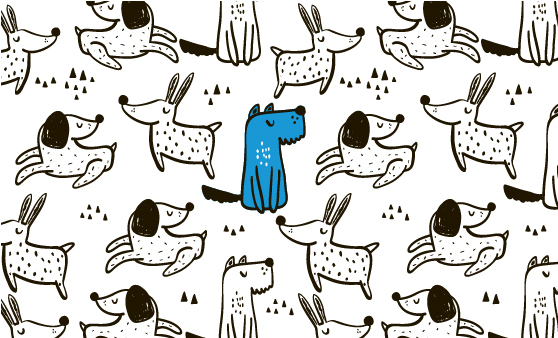 A carefully crafted Persona is your guide to who’s who in the buying process. Who initiates the purchase? Who signs the check? Who has the potential to kill the entire deal? The answers are clear when you invest time and effort in organizing, analyzing and understanding all parties involved. But roles and responsibilities are just the beginning. Because Personas are also built around buying behaviors and mindsets, they provide a snapshot of the journey taken to make a decision, including the category biases and beliefs that influence along the way. All of this rich information makes Personas an incredibly valuable, strategic tool for crafting multiple narratives for both marketing and sales. He goes on to stress the importance of understanding individual decision-making when many stakeholders are involved. All the more reason to really dig into each audience segment and learn the why’s that drive their decisions. So, how do you dig into the CEO’s omni-operational POV on cost versus the fleet manager’s focus on efficiency? Well, first you have to have the right questions to guide you through your research. At R+K, we use our own B2B Persona Questionnaire as a framework. Next, get your hands on as much information as possible about each audience segment. For this, there are many formal options, including primary and secondary research. Of course, there are other paths to learning that require less budget. If a full-blown segmentation study isn’t in your current plan, here are a few ways to spark conversations, gather feedback and gain customer insights. Who better to provide input on the anatomy of a sale, and its many players, than those who live it every day? Creating strong Personas is a process that requires curiosity, rigor and a good amount of critical thinking. When done well, they are an invaluable tool for OEM marketers facing the challenges of engaging multiple purchase stakeholders. Need help finding a path to Capital Equipment marketing success? Contact our Business Development Director, Gino Tomaro. What do consumers want from healthcare providers and systems, and how can better communications help? A perusal of articles, recent surveys and studies will reveal several consistent consumer desires to any reader. Consumers want and expect personalized everyday experiences. Consumers want ease of access to their provider and to helpful information. Consumers want to have cost transparency. In one recent study, the Urgent Care Association of America and Solv surveyed 1,386 Americans about their needs and attitudes when engaging with the U.S. healthcare system, to understand more about these issues. Three out of four consumers will not choose a doctor who can’t see them within one week. Providers need to make costs understandable. Consumers want to know how much they’re going to pay for care before the bill comes and exactly what medical services they are paying for. 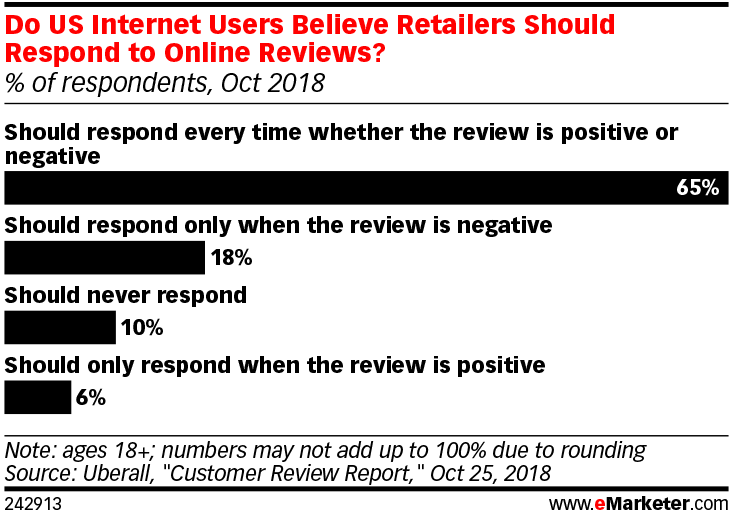 Consumers want to book online. The top technology requested by consumers is something that restaurants, airlines, hair salons and yoga studios have had for more than a decade—easy online and mobile booking. 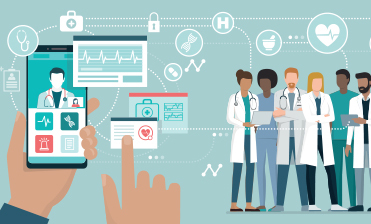 One of the conclusions of the study is that consumers today expect a level of service and convenience that does not often exist when engaging with healthcare. In addition, other studies have concluded that consumers are very comfortable engaging with their physicians digitally. So, what kind of communications do consumers want in healthcare and when do they want to interact with their providers? The average consumer only spends about three hours in healthcare service a year, so it’s probably not when they are in the provider’s office. More than likely, it’s not when the provider pushes out their marketing efforts either. Outbound marketing efforts will not enable healthcare providers to own the consumer experience. But they can own the moment of interaction. That, however, requires the brand to be present and available when the consumer wants to interact. 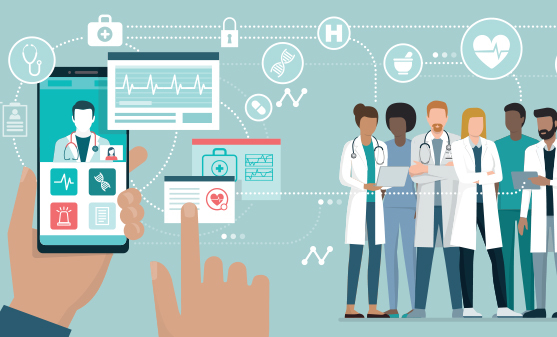 What are some ways healthcare providers can adopt and follow the same aggressive communications consumer brands have adopted? Be present in the platforms that consumers use. 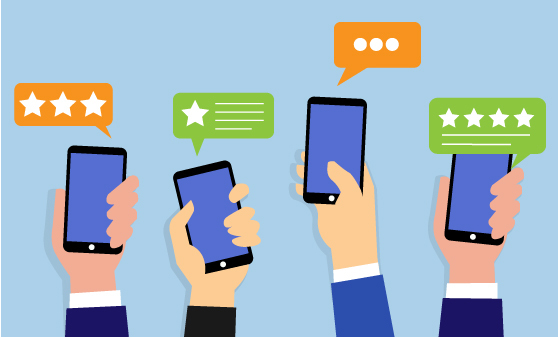 Marketers need to focus on the most relevant and high-use platforms their customers use like Facebook, Twitter, LinkedIn and even Snapchat and Instagram, among others. Every tool is different and needs a sub-strategy for their use. Be consistent in all forms of communications. The consumer needs to see you in these platforms before they will trust your engagement. Have patience. Be transparent, which also means be responsive. The healthcare industry is not known for their responsiveness and transparency, which is critical to building trust in communications. Provide quality, easy-to-understand information and speak directly to the customer’s needs. The communications can’t all be about pushing out information. Learn what is important to the consumer and deliver that information in a compassionate and meaningful way. Just as in all other consumer segments, in healthcare the consumer defines the relationship. The brand’s job is to deliver on it. Rob Merritt is the Director of Public Relations and Digital Services at Rhea + Kaiser and is committed to serving the healthcare industry through strategic consumer marketing. Need help finding a path to Healthcare marketing success? Contact our Business Development Director, Gino Tomaro. Picture this: You’re in Iowa heading east a smidge over 80 mph on I-80. You look to the right, and there, in a 1974 Corvette going the same speed, is a perky little poodle-like dog (let’s call it Poopsie) hanging out the driver’s side window. Not just its head, but its two front paws and nearly half its torso. Don’t worry about Poopsie, though. That wind-blown poodle is being safely secured by the driver of the Corvette, who is grasping the leash with one hand while driving with the other. Actually, we should be very worried, and about more than just Poopsie. There’s also the distracted, now one-handed driver of the Corvette, who may or may not be able to react to traffic, much less protect Poopsie. And what about the rest of us on the highway? Unfortunately, this is an everyday occurrence that’s distracting and dangerous for everyone, especially Poopsie, whose 10-pound body becomes a 500-pound projectile in the car at a mere 50 mph, according to AAA calculations. 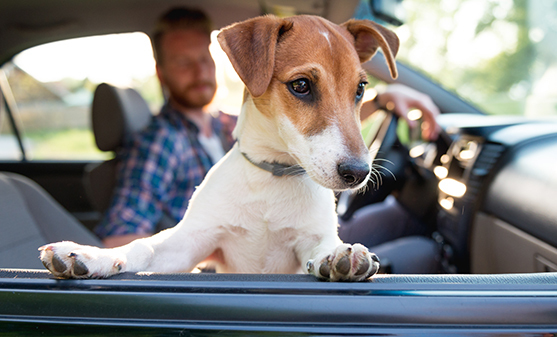 Nearly 60 percent of dog owners surveyed in 2011 drive with their pets in their vehicles at least once a month—and the number has likely grown significantly since that study. Yet, 84 percent do not confine or restrain their dog while driving. We know what that 84 percent looks like. Every day, several times a day, we see dogs of varying sizes hanging out car windows, sitting on the driver’s lap, jumping from side-to-side and back-to-front. They are nudging the driver’s arm, or calmly riding shotgun in the pick-up truck with nothing but the driver’s reassuring reach across the truck to hold Rover, while suddenly breaking hard. And don’t forget about Fluffy the cat, sleeping in the back window or clinging to the steering wheel. None of these scenarios are good for anyone, especially the pet. When I see these and many more situations of drivers distracted by unconfined pets, I am not only irritated and anxious, I also question the logic and genuine concern of today’s pet parents. Multiple studies report that most pet owners consider themselves to be pet parents and will go to great lengths and expense to ensure Poopsie or Fluffy are healthy, happy and safe. Yet, they won’t confine or restrain their fur babies in the vehicle. Which begs the question: If pet parents don’t care about their own safety or that of other drivers, why won’t they protect their fur babies in the vehicle? 83 percent of dog owners know the dangers of driving with their pet unconfined in the vehicle. 65 percent admit to engaging in at least one distracting activity with their dog in the vehicle. Ironically, while the awareness of smartphones and distracted driving has soared through the roof in the last several years, there are limited conversations about pets and distracted driving. It’s time to turn up the volume on this issue. 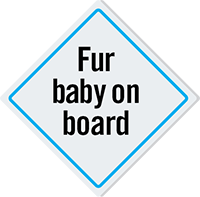 Pet parenting is on the rise, as are pet passengers. Whose job it is to advocate for pet safety in the vehicle? We can suggest any number of organizations that should, ranging from veterinarians, groomers and shelters to automobile insurance companies—all have the potential to be well-allied associations. It’s a no-brainer to suggest that manufacturers like Kurgo should again seize on this opportunity. Perhaps, pet supply retailers can credibly advocate for pet confinement or vehicle restraints. 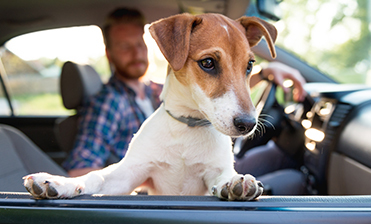 Advocating for in-vehicle pet safety (or reducing pet distractions while driving) is a year-round content and promotion opportunity for retailers. In a recent survey by TripAdvisor.com, nearly half of the respondents travel with their pets. Rover will be traveling to Grandma’s house for the holidays, whether for Easter, Mother’s Day or Hanukkah, as well as running errands and going to the Farmer’s Market with the family. Poopsie and Fluffy are going on Spring Break and summer vacations. They need a sturdy kennel or carrier, comfortable harnesses and leashes, plus lightweight, yet durable, kennel cups. The real opportunity for retailers is to reach these pet parents through advocacy and content. Pet parents want to know that marketers have their and their fur babies’ interests at heart. They expect your efforts to be sincere and valuable. And they need objective, informative advice on how to ensure Rover and Fluffy are safe, healthy and happy while traveling. At Rhea + Kaiser, we believe marketing and advocacy can co-exist credibly while serving an important issue with objective, usable content at the cornerstone of these efforts. We also believe that dogs and driving don’t mix and all pets should be confined or restrained in vehicles. Their lives depend on it, as do yours and ours. Diane Martin is President/CEO of Rhea + Kaiser and loves pets and pet safety almost as much as she loves marketing pet products and services. Our relationships with pets have changed dramatically in the last 20 years. Things that are now mainstream in the care of pets were simply not done when our grandparents of the Silent or Baby Boomer generations were young – or these things were reserved for crazy cat ladies, lonely weirdos or wealthy eccentrics. While much has changed between then and now, there are seven things we know our grandparents would have never done for their pets. Nearly half of pet owners surveyed in the 2017 Trupanion pet owner study, call themselves “pet parents” and refer to their pets as “fur babies” or “fur kids.” Millennials are two times more likely to refer to their pets as fur babies than Baby Boomers. As we’ve seen in numerous reports, Millennials take their pet responsibilities very seriously, and more are choosing to have pets than babies. Our grandparents thought of their pets as friends or companions, but often considered pets dirty and unwelcome sofa or bed mates. And if they were like my grandparents, the pets had chores. The dog’s job was to protect home and family from human and animal threats, while cats earned their keep and dinner by controlling the rodent population. Our grandparents simply accepted and often cursed the dog that quaked, cowered or howled during a thunderstorm, and they relocated the cat that inappropriately urinated in the house to the outdoors. In the most recent American Pet Products Association Pet Owners Survey, 7 percent of dog owners said they give calming medication to their dogs. Yet in the same study 10 years prior, pet owners did not report giving any calming medications to their dogs. There are now several FDA-approved treatments for a wide range of pet anxiety and behavioral issues. For example, there is Clomicalm (clomipramine hydrochloride) from Elanco, used for treating separation anxiety in dogs, and Zoetis introduced Sileo (dexmedetomidine oromucosal gel), which is the first and only FDA-approved medication for noise anxiety in dogs. For an added dose of complexity, pet parents have numerous OTC remedies – everything from supplements, essential oils, herbals and yes, even cannabis-derived products – to administer to their anxious pets. In an early 2018 survey of Millennial pet owners sponsored by TD Ameritrade, 68 percent said they would take leave to care for a new pet if their employer offered it. Grandpa is rolling over in his grave on that one. When he and Grandma got a new dog, they fed it, set a fresh bowl of water by the outdoor doghouse, chained the new pup near said doghouse, gave it a pat and went to work. Grandpa could not imagine bringing a dog to work with him unless he was a policeman or rancher. And he certainly wouldn’t have taken a pay cut to do it. But today, it can be a valuable perk. A 2018 study of Millennial pet owners sponsored by online retailer zulily revealed that 71 percent of those surveyed would take a pay cut to bring their pet to work. Startlingly, 21 percent said they would take more than a 20-percent pay cut to bring Rover or Fluffy to work with them. Granted, GPS trackers, pet cameras and the Internet weren’t available when the Boomers were young. But they would be stunned to know that among pet owners surveyed by the Consumer Technology Association, 27 percent own GPS trackers and 19 percent own pet cameras. Sure, Grandma probably bought a special treat at the butcher for Rover or she gave Fluffy a wind-up mouse to help keep those hunting instincts sharp. It’s doubtful, though, that Grandma spent $90 per year on Rover or $65 per year on gifts for Fluffy, which is what Millennial pet parents spent in 2017. 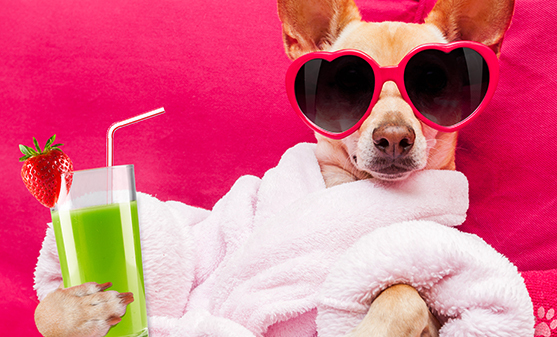 In contrast, more than half of Millennial pet owners in the zulily survey buy gifts for their fur babies once a month. And on average, they buy their pets four gifts per month. For our grandparents, rats were for cats to control. Rats were not pets, at least not for normal people like themselves… maybe for that creepy kid up the street. 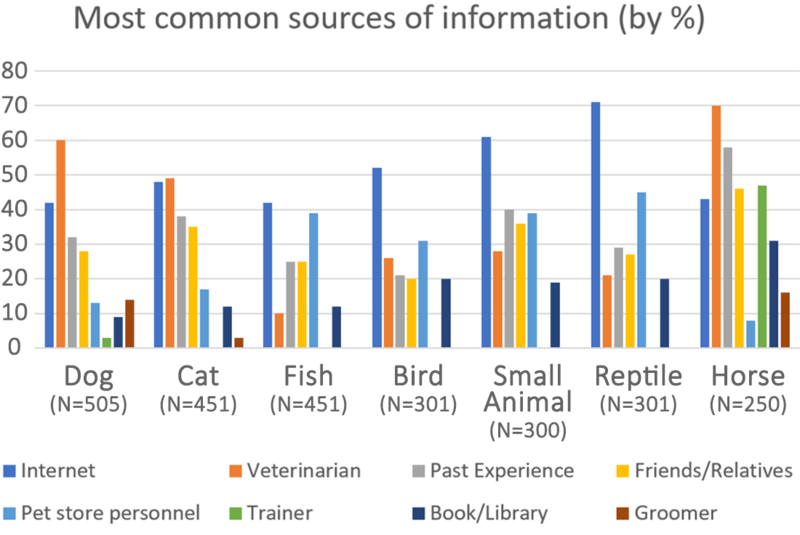 While these generational differences in relationships with pets have and will continue to represent significant upside for marketers, veterinarians and retailers, they also tell us one more thing. We don’t want the mindsets of our grandparents (and probably not our parents) managing the marketing and messaging to the spare-no-expense-for-my-fur-baby Millennial pet parents. Though more pragmatic, Grandpa and Grandma were less empathetic about their pets and would be even less so with the needs and expectations of the highly engaged pet parents of today. Diane Martin is President/CEO of Rhea + Kaiser, an avid lover of pets, and enjoys marketing pet products and services to those of all generations. As clutter increases and attention-spans wane, the headline may be your only shot at connecting with your customer. 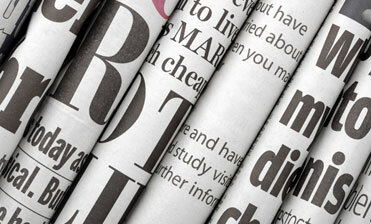 The headline must work harder than ever to get customers to notice, read, engage with or act on your brand’s message. It may be your only chance to be heard and considered. This is true whether you’re creating advertising, writing and pitching news stories, sending emails or developing website content. This was true decades ago when David Ogilvy said, “five times as many people read the headlines as read the body copy of our advertisement,” meaning five out of six people only read headlines. The average consumer, according to The Radicati Group, in its 2015 Email Statistics Report, sent and received a combined total of 94 email messages per day in 2015, and the average worker sent and received a daily average of 113 emails. And the volume continues to grow. Roughly six out of ten people admit they have read only news headlines in the past week, according to a 2014 study by the Media Insight Project (a joint project of AP-NORC Center for Public Affairs and the American Press Institute). Only four of ten actually go in-depth. In a 2016 study by computer scientists at Columbia University and The French National Institute, revealed that six of ten links shared in social media have never been clicked – shared, but never read. All of these truths mean your headline has more jobs to fulfill than grabbing attention of the reader and touting the unique selling proposition of the brand. It may seem like an impossible task for a line that may be as few as seven words, but today the headline has five tasks to complete for your brand. Capture the attention of the reader. Still a mission-critical job, considering the volume of messages directed at and consumed by your customers in multiple channels, on multiple devices. Keep the reader’s attention. The time-starved consumer’s attention span is fleeting at best, putting even more burden on the headline. Now the headline must tease the plot of the story and assure your audience the copy is worth staying for. Arouse eager anticipation with the reader. Stop the reader, pique her curiosity and now fuel that interest. A good feeling spurs a sense of expectation and a desire to discover more, to click the link and read your blog post. Simplify the learning curve. Great headlines and subheads enable readers to quickly and easily understand and remember the key message about your brand, by distilling the message to its essence and turbocharging it with the power of emotion. Get the job done upfront. Remember, the headline may be your only shot at connecting with your audience, so make it count. It should be clear in the headline what problem you’re solving and for whom. If the goal is for your brand’s message to break through the ever-increasing chaos and clutter, to capture and hold the attention of the consumer, then craft and hone the headline, to ensure it accomplishes all five of its jobs. Because at least 60% of the time, it’s the only thing your customer reads. A coy, clever or obtuse headline often excites and amuses those of us writing it. In reality, it annoys and repels today’s consumer. Clear and compelling make for a better, harder working headline. Diane Martin is President/CEO of Rhea + Kaiser and co-contributor to marketingtofarmers.com where she has seen the impact of hard working headlines.